After a long week, there is almost nothing better than the serenity of relaxing outdoors. Also, we can all relate to the satisfaction of entertaining friends and family in our homes, to celebrate events, or for low-key dinners and gatherings. As appealing as outdoor space can be, many factors prevent this type of enjoyment. Nobody wants to accept an invitation which includes food, only to end up being the meal for insects. Also, nothing will stop an outdoor picnic or party faster than rain, the wind or even extreme sun. It is hard to plan events outside as well, because weather forecasts are not often ranging far enough in advance, and they are always subject to change. Today, a fabulous solution exists. The “Phantom Screen.” An invention which allows you to be part of “The Great Outdoors,” without actually being in them. These screens are available in many colors-styles, and grades so that they enhance your living space, rather than detract from it. Although they will protect your rooms and guests from unpleasant elements, they are sheer enough to see beautiful landscapes, gardens, oceans, and forests. They are available for every climate and every type of home and are surprisingly affordable. Manual – these type(s) of screens can be pulled and pushed into the doorway frame with ease. The openings can be a vertical or horizontal door or window. They can also be any size and only need a light touch to operate. Remote – For those with many, or large openings, you will want to take advantage of pushing a button to make these screens appear and disappear, as desired. Scheduled – If you know that you have a “buggy” peak or period, you can create a schedule of when your Phantom screens will slide into action and save your house from infestation, or regulate the temperature or the wind. Automatic – There is even a type of Phantom screen designed for commercial use which uses weather fans to operate the screens when the weather conditions warrant it. According to the National Human Activity Pattern Survey (NHAPS), the average human spends 87% of their time enclosed in buildings and 6% in cars. As a result, Americans are missing out on the beauty of nature in record numbers. With the use of Phantom screens, we can leverage the ability to be inside and outside at the same time. We can break this pattern of being trapped and gain health benefits which will surely help us have a better quality of life. If you are considering an updated outdoor living space, the knowledge and expertise of ALD can help you achieve the look that you desire. They can even make a cooking area that will allow you to socialize, rather than being isolated in an indoor kitchen. The ability to take food directly from the stove to tabletop, in front of your guests will be a delightful experience for all. Another advantage of having this innovation is that you can regulate the temperature of your new, indoor room by opening the doors of your home. The air will flow between both areas, and the screens will help keep that flow inside. They are also useful for keeping sunlight out, to prevent the fading of your furniture, carpets, pictures, and more. 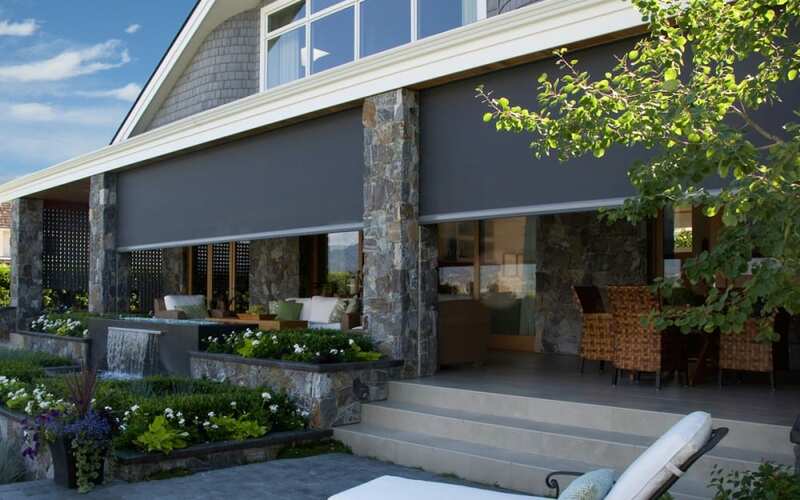 Phantom screens come in a variety of colors and can be matched up to any décor or home. When not in use, they are pushed into the door and window frames and are virtually undetected, as only a “Phantom” can be.